I think yardeners don’t usually have many houseplants in their homes. Many of us have killed most indoor plants we’ve tried to grow, usually because we forgot to water them. Unbeknownst to us, we also often placed the plant in an improper site in terms of light. Who knew? Here is my secret to growing houseplants: Avoid all flowering houseplants, especially African violets. Those plants can be very difficult to keep happy. We yardeners are better off going with low light foliage plants. They are happy in a north facing window or on an interior wall in the living room. I call these “dungeon” plants. They might not grow in the closet, but they really don’t need much light, a situation many of us have in our homes or apartments. These dungeon plants are attractive for yardeners because in addition to being happy in low light conditions, they can handle going without water better than most houseplants (they resist our trying to kill them) and most can tolerate the hot, dry air which many of us get from our heating systems. These plants need little or no fertilizer, and they can thrive for years before you need to think about repotting them. Believe it or not, most of the plants I suggest also are able to actually clean the air in our homes. NASA determined that these low light plants filter out various toxins that can be found in modern dwellings. With all these yardener-type benefits, these dungeon plants can often be found at a relatively low price. It doesn’t get any better than that. If you “google” low light houseplants you will gets dozens of plants to choose from. I have always liked those plants that were in my grandmother’s house when I was a kid. I am partial to the low light ivies. They can droop down the side of cabinet or bookcase and add some real pizzazz to a room. Look for the new varieties of Philodendron, Golden pothos, and Engish ivy. Many new leaf color combinations have been added since grandma’s time. When I have a foliage plant in a pot, I want a big one (two to four feet tall) that will fill up a corner or a brighten a blank space between two easy chairs. I’ve had success with Mother-in-law’s tongue, Dieffenbachia, Peace lily, Dracaena, Chinese evergreen, and the foundation of grandma’s living room, the Aspidistra. These plants usually come in an ugly black plastic container. Rather then going to the trouble to transplant a new plant, I simply buy an attractive but slightly larger container and place the plastic pot in it. In the next few months, keep an eye out at the big box stores for their sale on foliage houseplants. You will find amazingly large plants for as little as $15 to $20. If they do die, you did not break the bank. A few weeks ago, I was chatting with another guest at a dinner party. When he discovered I was a garden writer, he got all embarrassed. He said, "I've had only one plant in my whole life and I killed it." I asked what kind of plant he had and he said he had a Mother-in-Law's Tongue left to him by a friend who was moving. Looking back, I wasn't very polite because I laughed out loud and said, "You can't kill a Mother-In-Law's Tongue, it's a dungeon plant." That means its so tough it probably could grow in a dungeon. He said he didn't know why his plant died, but with some investigation we discovered he had unknowingly set the plant in direct sunlight. The Mother-In-Law plant, Sansevieria trifasciata, is stemless with long narrow rigid leaves with pointy ends. It definitely does not want full sun. My new acquaintance cooked his dungeon plant. I urged him to try again and put the plant in the other side of the room away from the sun. I assured him if it was watered from time to time, it would outlive him. Dieffenbachia: This plant is noted for being one of the easiest to care for. It has fairly large elliptical leaves that might be all green, cream with green borders or a mix between the two. Dracaena: Sometimes called the "dragon tree," it comes in many shapes and sizes (see www.dracaena.com). Many varieties can grow to be 3 to 5 feet tall, making a stunning statement in any room, as long as there is not too much light. Chinese Evergreen(Aglaonema):This tropical foliage plant is one of the most durable houseplants you can find. It tolerates poor light, dry air, air-conditioning and drought. Its large leaves may be green to dark green, and variegated silver or gray depending on species and cultivar. Peace Lily(Spathiphyllum): Sometimes called a "spath plant," this is one foliage houseplant that has blossoms that are very attractive and last for a very long time. The slightly fragrant white blooms resemble calla lily blooms. Prayer Plant(Maranta leuconeura erythroneura):This interesting houseplant is called a "prayer" plant because each evening its leaves start slowly folding up, until completely closed in the dark. Then it will open the leaves back again in the morning. The beautifully intricate leaves have a herringbone pattern in many colors. There are other dungeon houseplants. Just look for a label that says that the plant requires "low light." They are perfect houseplants for yardeners. Those of us who need a winter break will be heading for the sun country sometime over the next couple of months. So what do you do with your houseplants when you go on vacation? You can ask a friend to care for them, but this can be risky business, especially if you have a deep and abiding love for both your plants and your best bud. Do give it a second thought if your friend doesn’t grow indoor plants. If you’ll be gone for an extended period ask your local independent garden center about plant sitting services. Some will board plants, but you may have to pay a handsome price for the convenience. After all, the plants take up growing space and require special treatment from paid staff. However, it is possible to leave your plants home alone while on vacation, the secret is providing them with the proper light, humidity and water. For short jaunts, such as a long weekend, you’ll only need to contend with watering. Moving plants out of the sunlight to a shaded area will sharply reduce their watering needs. And it won’t hurt plants to spend several days in a cooler corner, out of the sun. If you’re planning an extended stay, you can provide the plants with their lighting needs by setting up an artificial plant light. Garden centers and big box stores have several models that include the fixture and a special Grow Lite bulb in a single package, so all you have to do is plug them in. An inexpensive timer attached to the light fixture will allow you to simulate the nature’s rhythm of light and dark and the fixture can also sub as a security light. Plants that need to be kept moist at all times, such as African violets, can be tented with a large plastic bag. Larger is better when it comes to tenting and the plastic must not be allowed to touch the leaves. Clear plastic cleaners bags or plastic (drop)cloths are large, light and easy to work with. A large old lampshade stripped of its material makes a great support frame. When tenting, to prevent gasses from building up, make ventilation slits in the plastic. Placing the containers on pebble trays filled with water will help increase the humidity inside the tent. 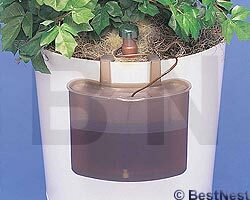 But be sure the level of the water is just below the bottom of the pots. Plants left in standing water will drown. The wick watering system may be just the thing for those planning lengthy vacations. To set it up place a plastic (drop)cloth on the floor in the center of a bright room. Then set a chair in the center of the (drop)cloth. On the chair place a large container of water – a five-gallon plastic water container of distilled water works nicely. Now place the houseplants around the chair. The tops of the pots should be lower than the top of the water jug. To make wicks cut strips of material from an old woven synthetic blanket or buy wicking from the garden center. Each wick should be several inches longer than the distance from the plant pot to the container of water. Now, water the plants well and wet the wicks. Then bury one end of the wick deep in the soil of the plant and (drop)the other end into the container of water. The wick should be long enough to reach the bottom of the water jug. If you have very large plants, you may need to use more than one wick to keep the soil properly moist. To very the amount of moisture the plant receives adjust the depth at which you bury the wick. The deeper the wick is buried, the more moisture the soil will receive. When the plants and watering system are in place, tent the entire setup with plastic and set up one or more artificial growing lights out side the tenting. Ask a relative or a friend to pop in once a week and check the water level of the container. Leave a funnel and pitcher handy so they need not disturb the wick setup. The bathtub is an excellent place to keep plants that require high humidity. Line the bottom of the tub with a large piece of plastic and then add several layers of newspaper. Add enough water to wet the newspapers and drain off the excess. Place the plants on the wet newsprint and tent them with plastic sheeting, securing the edges with masking tape. 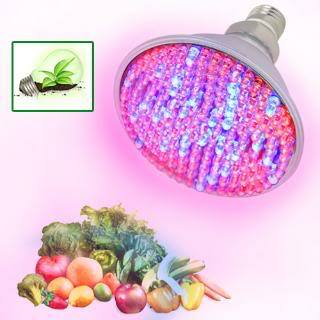 If you will be gone for a long time, set up the watering system and grow lights. It’s a good idea to give these methods a trial run before you head off to be sure the mechanics work. These all have low light requirements, need water when the soil feels dry and tend to be very forgiving: Good choices for folks on the go.